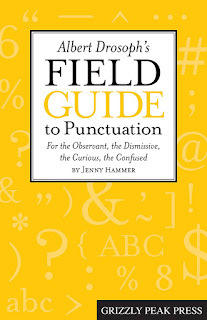 Florey's Book Co.: Albert Drosoph's Field Guide to Punctuation -with author Jenny Hammer, Sept. 6th at Florey's. Albert Drosoph's Field Guide to Punctuation -with author Jenny Hammer, Sept. 6th at Florey's. 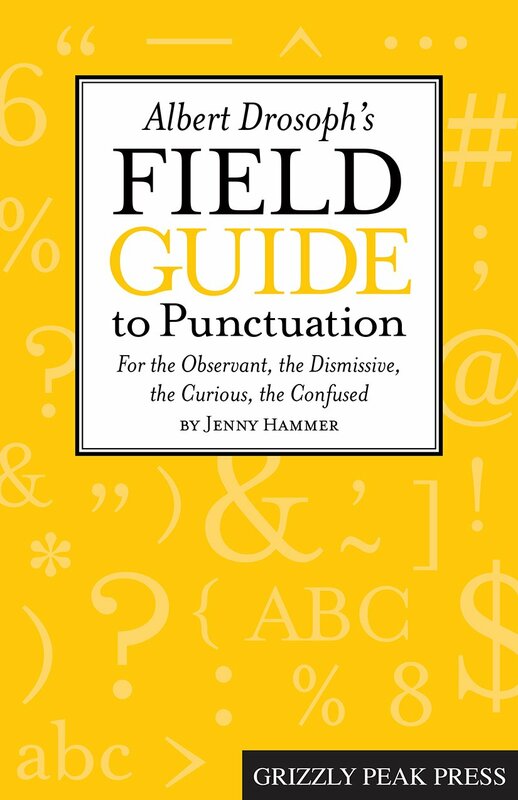 Florey's Books welcomes author Jenny Hammer as she discusses her book, "Albert Drosoph's Field Guide to Punctuation For the Observant, the Dismissive, the Curious, the Confused". Using the trope of the marks as living creatures and weaving together style, typography, science, and dry humor, Albert Drosoph’s Field Guide to Punctuation untangles the mysteries of punctuation in a non-threatening way. Rather than wanting to shrink from encounters with these marks in anything read, or rather than perseverating about where and how to use them in anything written, readers of this book will intentionally seek out the marks and observe, with a new appreciation, what and how they are doing. This book will surely change your mind even if you’ve never considered these tiny marks with anything even approaching interest. After reading Drosoph, you will be interested and informed, and you’ll never look at a mark of punctuation in the same way again. Albert Drosoph’s Field Guide to Punctuation distills extraordinary research of writing styles, conventions, and history into a handy assistant. Take it with you whenever you venture into the worlds of reading or writing; you’ll find it indispensable. Jenny Hammer has been teaching English to speakers of other languages for over half of her life. An immigrant to California from the state of New York, she currently lives in the East Bay.